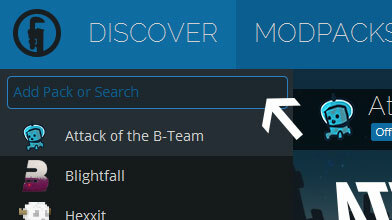 Type in the modpack name (Craft & Slash RPG) or paste the following url into the search box. Finally, click Install at the bottom right of the launcher after you select Craft & Slash RPG from the list on the left. The launcher will handle everything else! Click Here to See Our New Trailer! Welcome to the Craft & Slash Modpack Page! This modpack is designed to be the most immersive and cohesive RPG modpack out there. With a strong fantasy theme, this pack will throw you into a strange world, filled with many dangers and rewards. Fight monsters, tame dragons, forge weapons, loot dungeons, slay bosses, trade villagers, form bonds with civilizations, dabble in the dark arts, or even chop trees and build a house. Your adventure awaits! Custom built, indestructible in-game areas, including a main hub town filled with quests and traders, as well as expansive and challenging boss dungeons for the most skilled players to tackle. Areas outside of these are still fully destructible for mining and building as usual. Several-thousand lines of custom configuration code! After countless hours of work, this modpack has been custom built to cross-integrate all of the mods. Find loot from every mod in every dungeon, craft ores from one mod into itema from another, and many more custom configurations. Custom tooltips! Many new tooltips have been added for items that needed more info presented. Spend less time searching what items do on google and more time playing. More tooltips are added all the time, and you can suggest new ones in the comments if you find an item that isn't very descriptive. No inventory loss on death by default, as well as most mob-griefing disabled. A detailed and useful skill system! Craft runes to cast spells, summon pets of increasing strength, increase your resources used to use certain weapons, and much more! Mod textures and custom textures! The pack comes with the DokuCraft light texture pack installed by default, with tons of mod support added and many alterations made for a better experience. Custom balancing! This mod pack is designed to have the most enjoyable plug-and-play experience. Items from many mods have been altered to work better in the pack, recipes for certain items have been added, changed, or removed to make things more fair, and changes have been made to make some less useful items more important. Every mod is in here for a reason, and these configurations help them work together for a better experience! 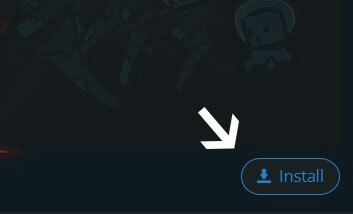 Tooltip suggestions. There are many items in game that are not descriptive enough. If you find an item that could be helped by a better tooltip, feel free to let us know and it will be added in the next update! Balancing issues. If some OP mobs spawn way too much, or some ability is way too punishing etc., let us know! If the community has a problem with certain problem mobs or situations, we'll re-configure things to make for a better play experience for all. Sorry for the lack of updates guys! In a few months I will be finished college, and will have time for plenty of updates! Keep giving me feedback!